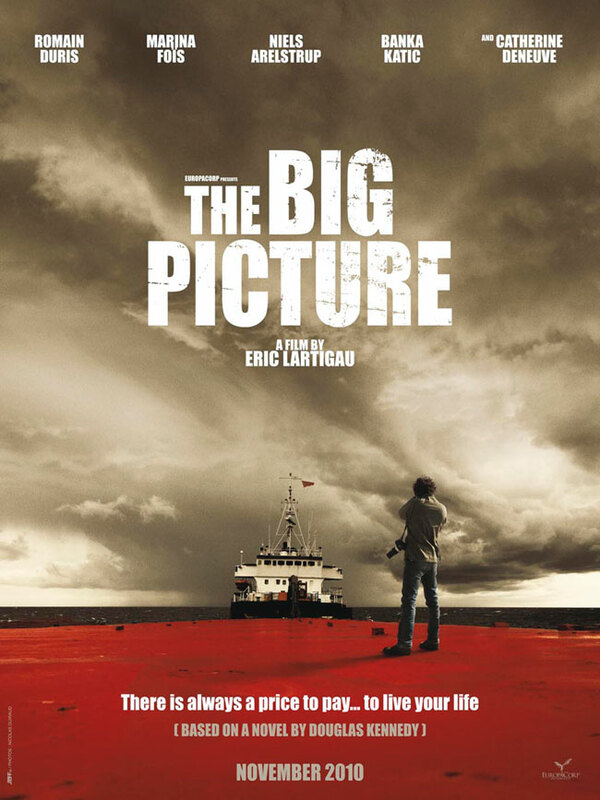 The Big Picture (2010) makes Swiss cheese look structurally sound. The central problem is the plot which, as anyone who watches a lot of films know, must be good if you’re trying to make a traditional, linear thriller. The story is about Paul (Romain Duris), who on the surface is a successful man who works for a good law firm, has a two perfect children, a beautiful wife and a stunning modern house. Paul’s world starts to crumble when he discovers that his wife has been having an affair with local photographer Gregg, which leads to Paul making a fatal mistake. Realising that the life he once led is gone forever Paul assumes Gregg’s identity and flees to Hungary. Once in Hungary, Paul reinvents himself following his previous passion of photography, but how long can he keep up the masquerade? Some of you may recognise this plot as resembling Patricia Highsmith’s Ripley books and there are strong similarities. The central problem of the plot is down to the fact that the novel, by Douglas Kennedy, was written before the advent of Twitter, Facebook and Google. This being the case, the author didn’t need to worry about someone Googling an image of Paul/Gregg and realise “Hey, that’s not Gregg, that’s Paul!” This major pitfall of plot is completely ignored. That being said not all of the film is bad, there is a strong French cast, Catherine Deneuve makes a albeit brief appearance and Duris plays his part well (although his teeth are something of a distraction). The cinematography is equally top-notch and the shots of Eastern Europe are stunning, however these two factors do not purge the film of the fact that it is a shambles. The Big Picture is a disjointed collection of stories that don’t fit particularly well and you sense that the author’s original concept of a man stealing an identity was good but poorly realised. These are massive problems but the film is not dull, you watch it wishing that it was more and that it had been made to a higher quality with a bit more thought. The one strong concept of this film is sadly underdeveloped, this being the concept of identity. There is an existential pondering as to what makes up identity, is Paul, Paul because he is a family man? A lawyer? Or is it a combination of factors? This just isn’t treated with the intelligence that such a subject deserves. Ultimately, The Big Picture disappoints, leading you to feel that you should perhaps have been owed so much more.